2019 Artist & Vendor Information Coming Soon! Vendor applications closed on April 1, 2019. Submitted applications will see a response by April 1. 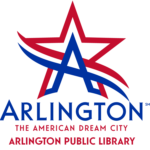 To be placed on our wait list, please email arlingcon@arlingtontx.gov for more information.